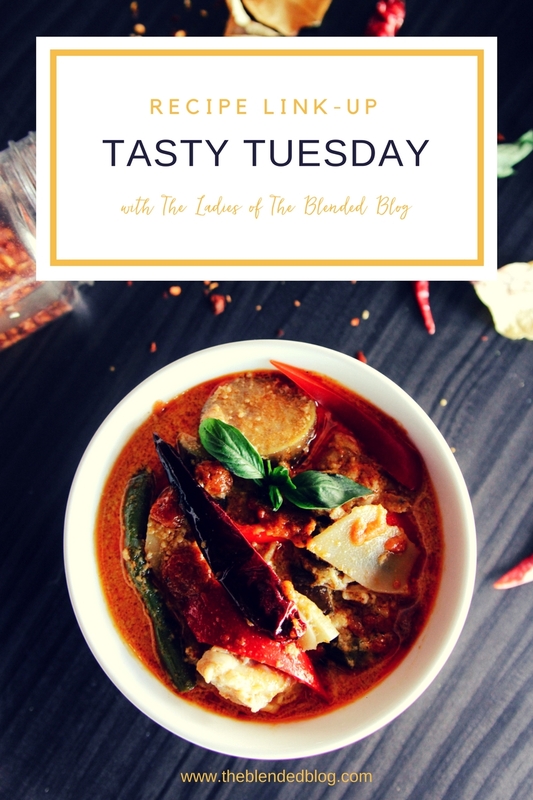 Welcome to the first Tuesday link up on the Blended Blog. Feel free to link up any food posts on Tuesdays with us and we'll share the love. The contributors will be taking turns featuring recipe or talking food and I look forward to seeing some of the great recipes. Because I didn't venture into anything super awesome in our kitchen this week, I decided to dig into the archives back to when my sister used to post on Thursdays for me with a "What We Ate" styled post. My sister is a registered dietician and a very healthy eater. Her daughters will pick chick peas and broccoli over treats and it is really neat to see how Kyla's healthy choices have influenced the little people in her house. I miss Kyla's posts, so maybe this will help me convince her to come back to blogging. One year her yearly professional development goal was to cook recipes from different cultures and blog about it, she called it Simply Foodtastic. So today's feature comes from that. Bon Appétit, I highly recommend the last recipe, I've made it multiple times. Originally posted on ShoestoShiraz.com on Feb 6th, 2014. Simply Foodtastic - back by popular demand! (not really, haha). I thought I would try regular guest food blogs on Deena's site to share with you some of the recipes/foods we have tried during the week. I think that Deena actually put my old blog posts under the Food heading so if you are ever looking for a new recipe, take a look at some I have tried in the past. I originally planned to make the above recipe but when Autumn suggested adding lentils, I pretty much made a totally different recipe. I sautéed 1 onion and a couple of garlic cloves, added the lentils (canned - drained & rinsed), pasta sauce and some spices. I used cottage cheese instead of ricotta, since that is what I had on-hand. I mixed the cottage cheese, egg, parmesan and pepper together. I layered the noodles, sauce, cottage cheese mixture and spinach and topped it all off with mozzarella. Quite tasty! The girls devoured the lasagna, so that was a good sign.